Mealworms, larva of Tenebrio molitor. Mealworms are used to feed a variety of fish. To get the best health, colour, and activity out of your fish they need to receive a wide range of vitamins, minerals and nutrients from their food. This is why it is very important to feed high quality dried foods, and stick to the named brands – these foods will provide all the essential vitamins and minerals your fish need. Dried foods will take care of basic nutrition but sticking to one type of food is never a good thing, and a much more varied diet will give your fish a more enriched lifestyle. Giving fish the foods they like as well as the foods they need is a good balance that will encourage natural behaviour, increased activity and an overall boost in health. Feeding your fish a diet made up from roughly half dried food and the rest a mixture of fresh, frozen, and live foods is about the right balance. Live foods can be found in all shapes and sizes, from tiny daphnia to large shrimps and worms, and should be chosen according to the size of your fish. Almost all fish relish most live foods but they do have a down side. In terms of pure nutrition, some live foods contain very little, or are missing in essential elements, which is why dried food is still important. Depending on how and where a particular type of food was grown or bred, they can also carry harmful diseases, this is often the case with foods like tubifex, which thrive on sewage and waste products, but for the most part live foods are relatively safe. The acidic nature of the live food is suggested to irritate the fish’s gut. 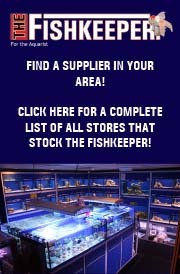 Whilst this theory may not be proven, it is backed up by many fish keepers observations and should be taken seriously. Using a reputable source, and correct preparation, can get around most of these problems. 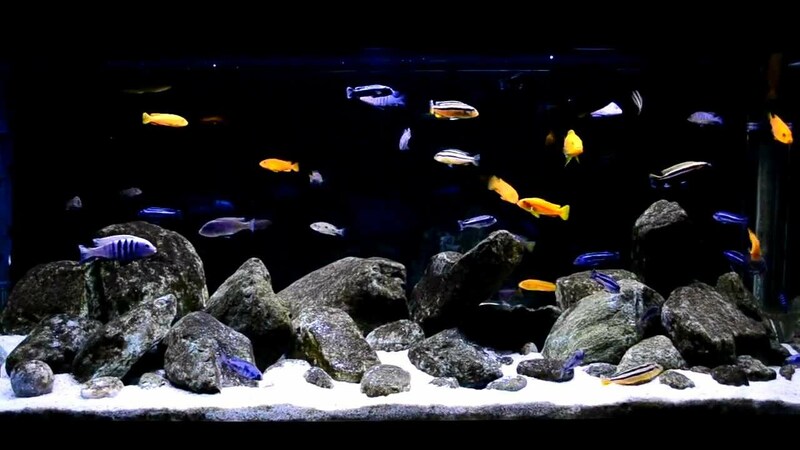 In fish keeping, we are aiming to give our fish as natural an environment as possible, and whilst your fish may be perfectly safe in their tank, with good water quality and no predators, they need to be given some sort of activity to keep them busy – a busy fish is a happy fish! As any fish keeper will know, one of a fishes favourite activities is feeding, and making this activity a little different each time and giving your fish the opportunity to hunt real moving food can vastly enrich your fishes environment and improve overall health. Variation in diet is good for your fishes digestive and immune systems, and also allows you to tailor diets to individual or groups of fish. Predatory species can be given more meaty food, opportunist feeders can be fed small daphnia and brineshrimp, and grazers can be given fruits and vegetables. Most large fish are predatory, but do your research since some large species like pacu, silver dollars, and some barbs are not and will be better fed on pellets and fresh foods with only the occasional meaty treat. 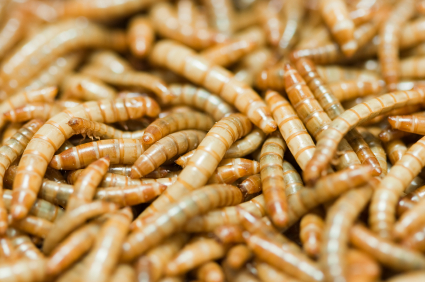 Common larger live foods include shrimps, earthworms, crickets and mealworms. 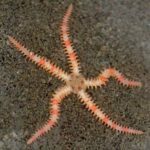 The benefit of these foods is that they can be kept alive for longer than many small live foods, which is especially handy since larger fish tend to require less frequent feeds. All these foods are also generally disease free and are safe to use as fish food. For the majority of fish, smaller foods are better, and popular live foods are glassworm, bloodworm, and brineshrimp, which most fish will readily eat. For very small fish, daphnia and Cyclops are excellent foods, and if you thought Danios were fast movers, wait till you see them feed on live daphnia! 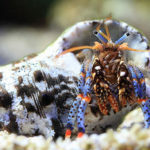 Fresh fruits and vegetables may be stretching the definition of live food by quite a distance, but they are worth mentioning as an alternative to live animal foods when herbivorous or grazing fish are being kept. As long as the food is fresh, or frozen, and not prepared, almost all fruits and vegetables are fair game. Try out a few to see which are the preferred choices for your fish – for algae eaters cucumber slices, lettuce leaves and shelled garden peas seem to be particular favourites. 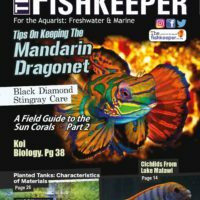 If you feed quite frequently with fresh foods it is important to keep an eye on your aquariums phosphate levels, which can be released from some foods and may encourage algal blooms. Not all retailers sell live foods since they can be tricky to keep alive and generate little income. Common live foods like bloodworm or daphnia can be bought from some fish shops, and a few will even have glassworms and shrimps. Retailers that also sell reptiles are likely to stock bigger, meaty foods like mealworms or crickets. If none of your local shops sell live foods, there are many online retailers dedicated to supplying live food – a simple search for ‘live food’ or live fish food’ will give you plenty of sites to choose from. In a quantity comparison to dried or frozen foods, live foods are very expensive – a £1 pouch of bloodworm may only be enough for a couple of feeds, but does make a good treat for your fish. Some live foods can be made or kept at home, which can significantly reduce the cost. 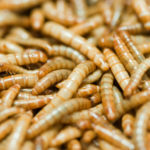 Mealworms can be kept alive for extended periods in trays filled with scraps and wheat bran along with a good lid, and glass shrimps can be kept in a well-aerated tank for several weeks. For smaller fish, daphnia and brineshrimp are ideal for breeding and raising at home. A container of water holding at least 100 litres (for stability) and left in a partially shaded area is an adequate housing for a breeding population of daphnia during the summer months. 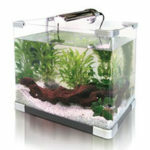 Simply set the container up and allow it to settle, using some mature aquarium water and a few cheap pond plants will help, and then add a small amount of live daphnia and leave them to it. As the population grows you can net out a suitable quantity for feeding every few days. In this type of environment you may even get a few fly larvae, which can also be fed, but look carefully at some of the creatures which may appear – bugs with pincers can damage your fish. 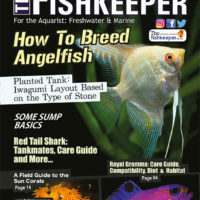 Brineshrimp can be easily hatched and raised in a more controlled and sterile manner through the use of hatching kits, available from most aquatic retailers. A hatchery kit is simply a housing that sits inside your aquarium (to keep a steady, warm temperature) and is filled with saltwater and brineshrimp eggs. Within a few days the eggs hatch and an airline attached to the bottom of the kit provides aeration and movement to keep the brineshrimp mobile. 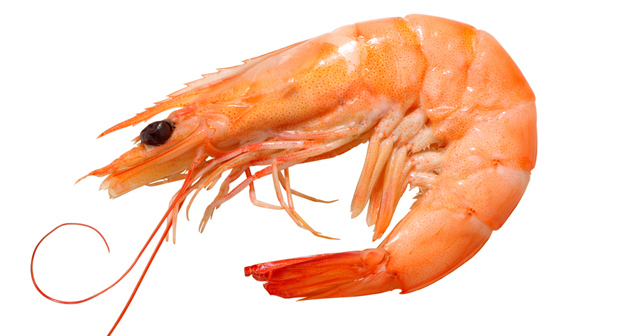 The brineshrimp can be harvested over several days and will grow accordingly. 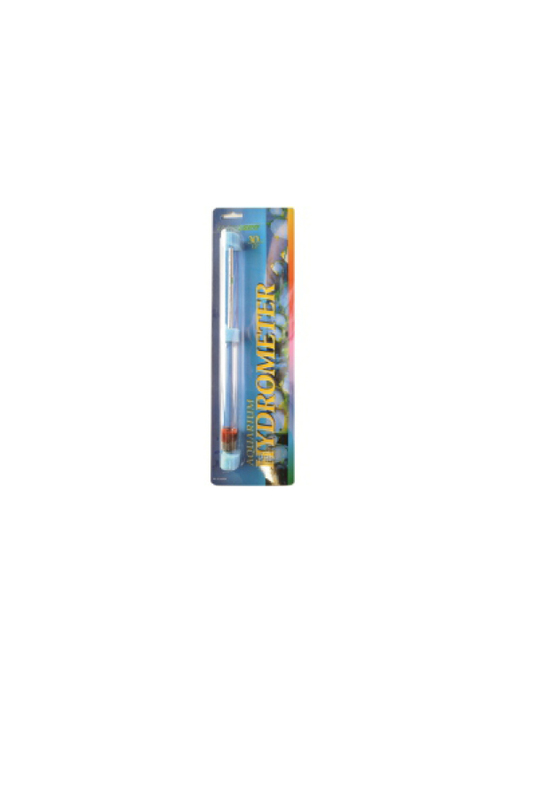 These kits are particularly useful for creating newly hatched brineshrimp small enough for young fry to eat. 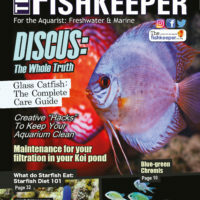 All live foods should be rinsed before use – this can be done under the tap, and for water based foods like daphnia, brineshrimp, or bloodworm, they should be drained from their housing water and placed in water from the aquarium for a few minutes. This will help to clean the foods and may alleviate the problems of changes in acidity. Apart from this most live foods can be fed directly, following the same rules to avoid overfeeding as with traditional dried foods. Watching the difference in activity at feed times with live foods and watching your fish hunt around for hours after adds an extra dimension to the already enjoyable habit of sitting down and doing nothing except watching your fish. 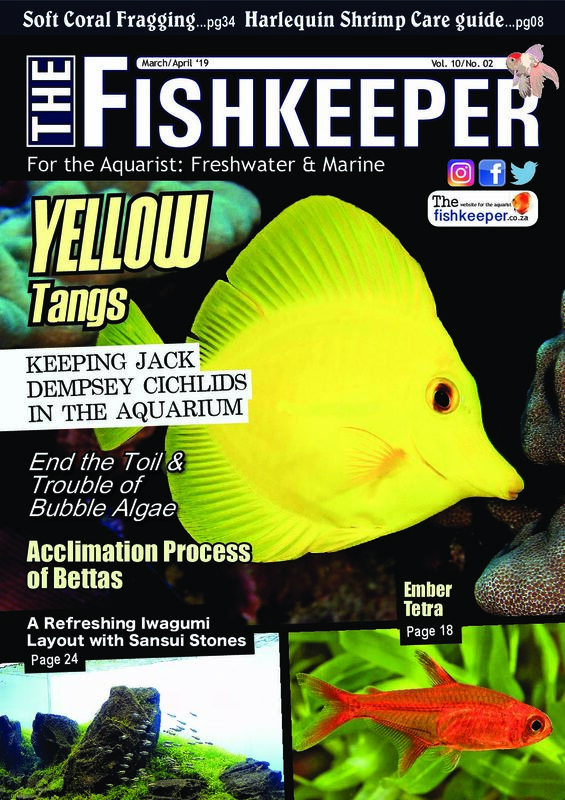 Recent observations have also suggested that some health problems can occur in hard water fish like Malawi cichlids when they are fed live foods raised in acidic conditions, such as bloodworm.